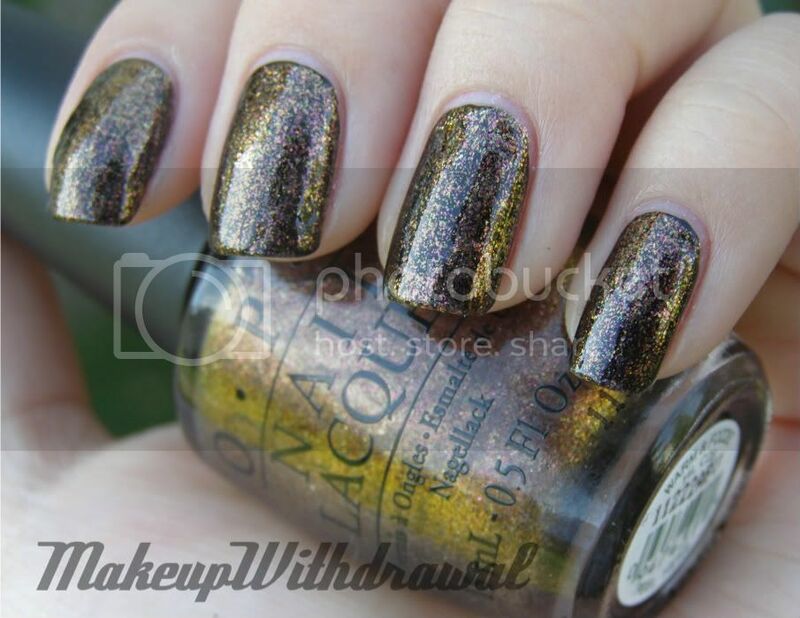 Yesterday, I decided to use Warm & Fozzie as a layering polish out of curiosity. I wanted to see what it would look like over black since it was very thin when I wore it by itself. 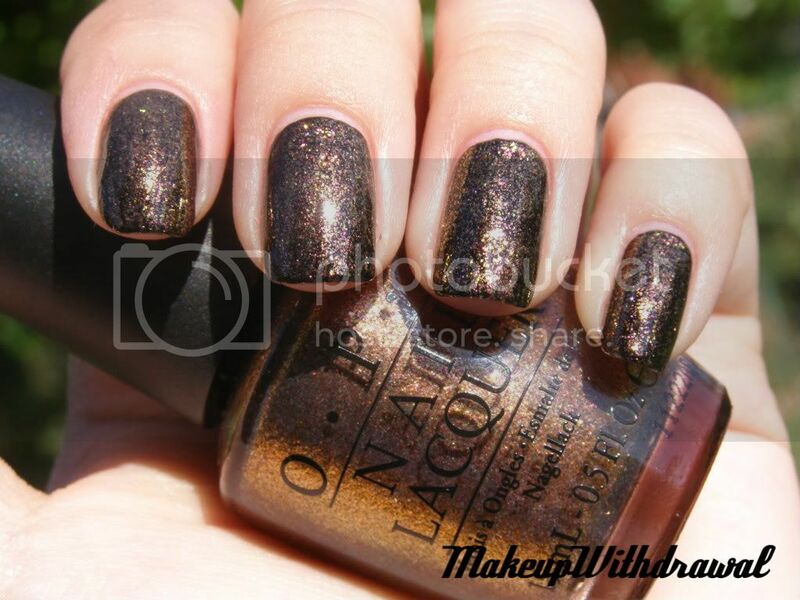 This is one coat of Warm & Fozzie on top of Wet'n'Wild Black Creme. I liked the result. In indirect lighting you can clearly see the coppery and bronze particles. To me, it looks like flakes of metal on top of polished black lacquer wood. I love it when a polish can be worn multiple ways. I have another post for you tonight, an EOTD.